A few years ago I did a blog on Lethal Laundry and I have wanted to continue on with that theme with scented candles for some time. I know so many people who suffer with allergies, asthma and migraines who use scented candles regularly and who use heavy perfumes in their laundry detergent. People are simply unaware of the dangers that are all around them, a totally “under the radar” health destroyer that is seen as a welcomed friend! Scented candles are one of the easiest and most effective ways to mask unpleasant odors in your home. They’re a go-to when creating a relaxing ambiance to unwind after a long work day or while taking a warm bubble bath. But one of the main problems with scented candles is the scent itself. According to Anne Steinemann, an environmental pollutants expert who is a professor of civil engineering and the chair of sustainable cities at the University of Melbourne, certain candles may such as benzene and toluene. They can cause damage to the brain, lung and central nervous system, as well as cause developmental difficulties. Part of my testimony, and why I have a holistic health company, is because my children had severe allergies when they were babies. In fact, our second child almost died from allergies! That set me on a course of health that I really never expected to explore, but I have learned a lot of valuable lessons from it that I try to pass on to others through Honest Aromas. Many sickness’ start off with an undetected allergy. For example, some one might ask you if you are allergic to fragrances? You might answer, “no” because you have no knowledge that you have an allergy to any thing. But if you look back over the months, you may realize that you had 3 sinus infections, a cold, and migraines. You may not put together the puzzle pieces that these are related incidents, but they very well could have been started by a constant wearing down of your immune system from an allergen- and most times that is exactly what it is. Once you reach a certain “threshold”, you remain sick dealing with chronic bronchitis, asthma and possibly, down the road, auto-immune issues from the chemical damage. Maybe when you once could tolerate strong perfume, you find it starts “setting you off” with sneezing, watery eyes or a coughing fit. These are symptoms that need to be investigated. 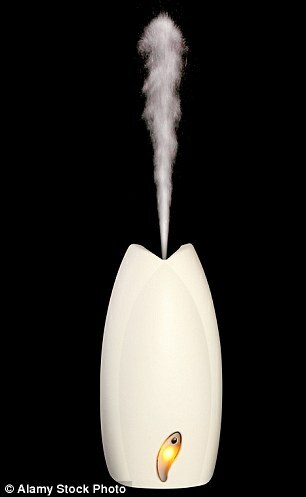 After working with Essential Oils almost non stop now for a few years, my nose can spot an impostor in a second! Where my senses may have been dulled, like when I drank bad coffee for years until I ground my own fresh beautiful coffee beans, I can now spot the counterfeit from the original. And even though I pick up a pesky cold here and there, my health is so far superior to that of even my 20’s!! A few months ago, I spoke with my brother who recently purchased a used truck. He started experiencing headaches and fatigue that wouldn’t relent. After taking his truck to several garages to see if there was a leak in the exhaust, and after being told repeatedly there was not, a helpful mechanic pointed out that it very possibly could be the air freshener that was attached to the vent on the dashboard!! He checked out the internet, and found in fact, many people were having similar issues like his. He removed the freshener, and symptoms have disappeared! Chemical sprays, plug-ins and gels for home perfuming are hugely popular but investigators warn that they can include an array of hazardous substances which may cause lung damage and tumors, interfere with our hormones and cause such lifelong problems as asthma. Last month, a study involving Public Health England’s Centre for Radiation, Chemical and Environmental Hazards, warned that plug-in air fresheners produce ‘considerable’ levels of formaldehyde: described by the US government’s National Toxicology Program as a known ‘human carcinogen’. It is most closely linked with cancers of the nose and throat and at the very least, it can also cause sore throats, coughs, scratchy eyes and nosebleeds. It is not the only chemical to fear in air fresheners. Other basic ingredients include petroleum products and such chemicals as p-dichlorobenzene, which hardly bring to mind summer meadows, vanilla pods and sultry spices. These ingredients have been linked with a raised risk of asthma in adults and children. In 2013, after a study of more than 2,000 pregnant women, the International Journal of Public Health reported that women who used air fresheners in their homes were significantly more likely to have babies that suffered from wheezing and lung infections. One study that followed 14,000 children from before and after birth found they had higher levels of diarrhoea and earache, while their mothers had raised risks of headaches and depression, all linked to the frequent use of air fresheners and aerosols during pregnancy and early childhood. A 2007 study also found that using air fresheners as little as once a week can raise the risk of asthma in adults. The same report found that the risk of developing asthma was up to 50 per cent higher in people who had been exposed to air-freshener sprays. Many air fresheners also contain substances called volatile organic compounds (VOCs), characterised by their low boiling points which mean they form vapour or gas at room temperature. Experts warn that these can increase the risk of asthma in children. Wow!! Over and over again, upper respiratory issues, asthma, possible cancer causing agents! We may be trying to eat right, take vitamins, exercise and letting our back door open to health destroyers. If you are a candle lover like me, you could feel kind of bumbed out right now- like, “I have to give up my candles too? !” Not too worry, I will highlight some amazing alternatives this week to bring that beautiful radiance to your home with out the harmful chemicals being emitted into the air! We are hear to help you and are right here with you, learning along the way! We want to hear from you today!